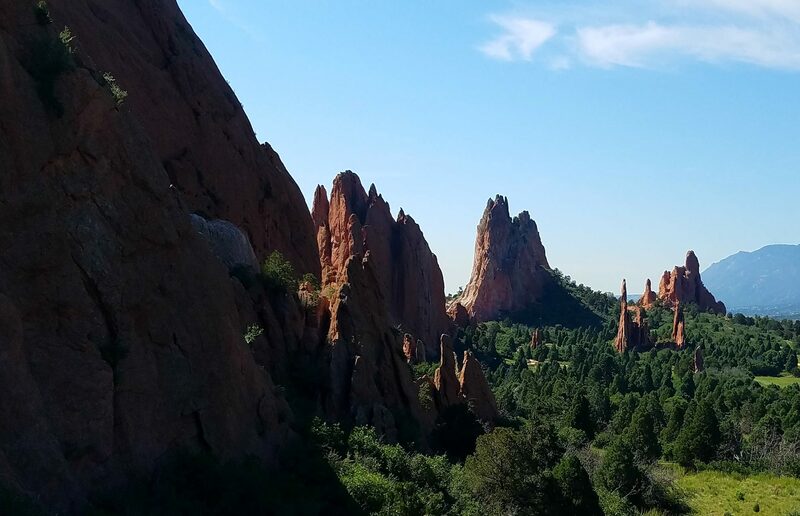 Are you ready for an outdoor adventure? We hope so. 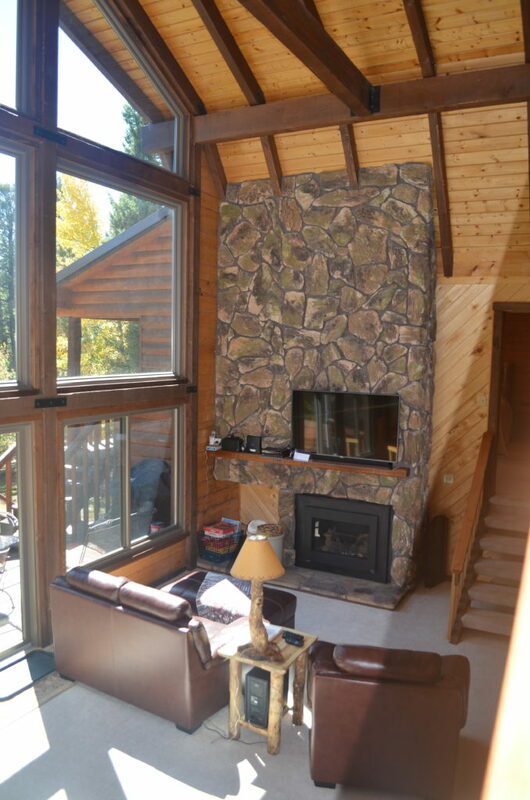 Welcome to the Catamount Cabin! 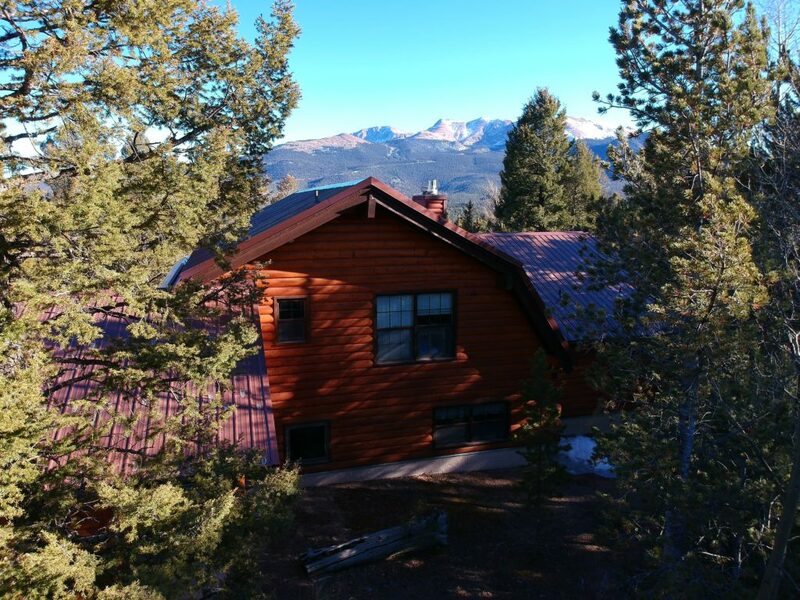 This three bedroom, three bathroom cabin can be your home away from home, and the perfect starting point for a vacation to remember! 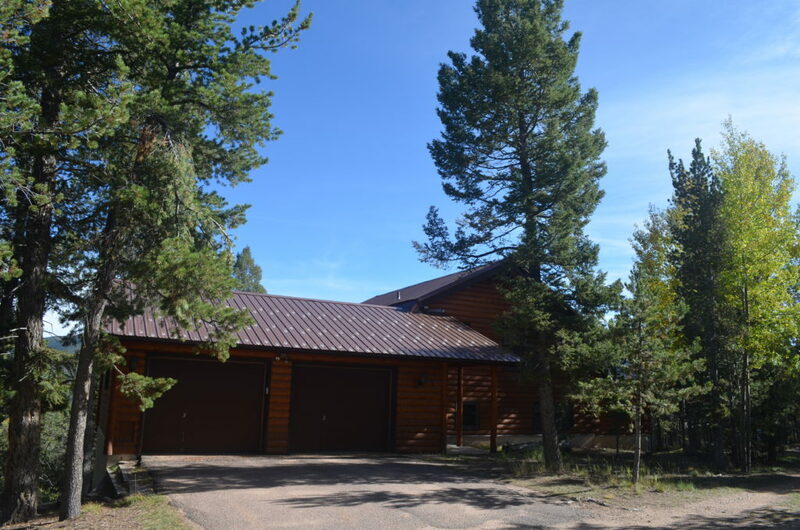 The cabin is located just west of Woodland Park, Colorado, and it’s situated perfectly for outdoor fun. 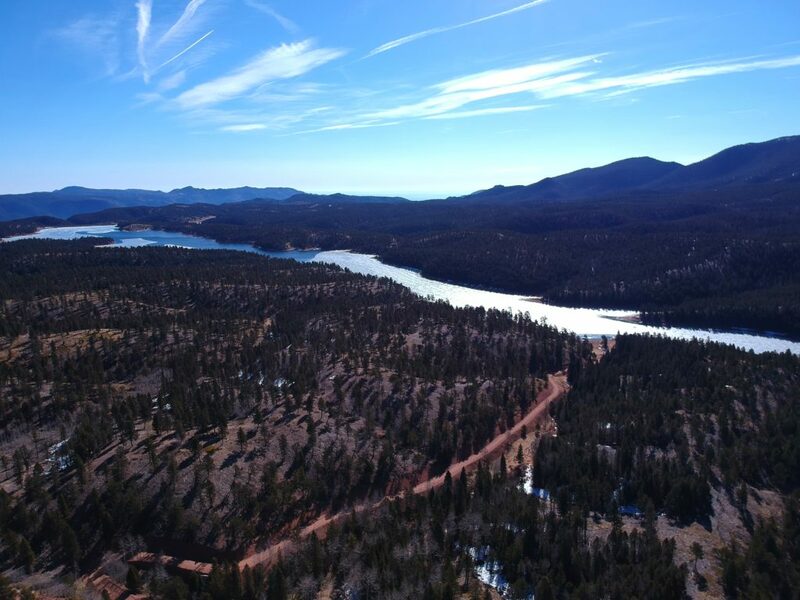 You’re minutes from the Catamount Reservoir trailhead; take a short bike ride or hike with your camera, or bring the fishing poles and the canoe for a day by the water. Maybe you’re ready to step up your game? Take on the Ring the Peak Trail that circles Pikes Peak. In the winter time, bring your snowshoes or cross-country skis to test out those same trails and many more through the Woodland Park and Divide area! 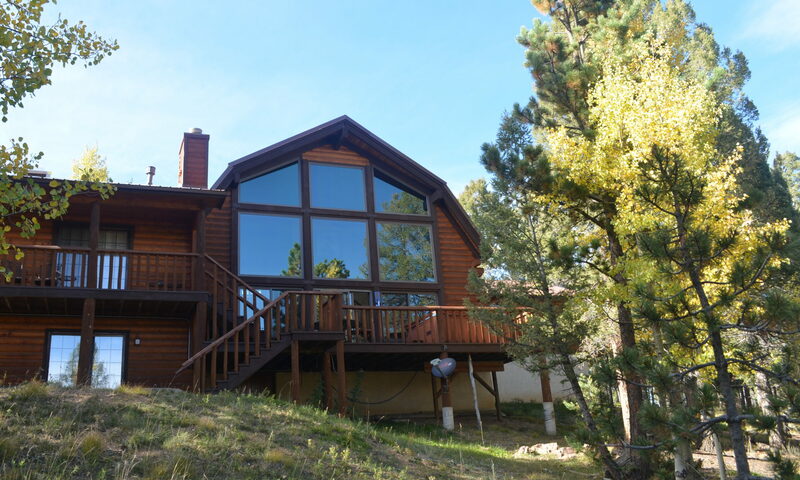 At the end of the day, this cabin is your piece of paradise in the mountains. 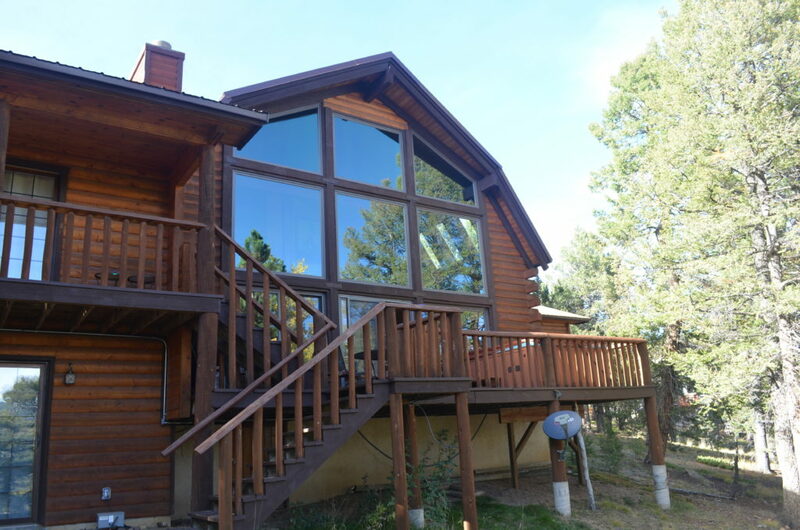 The floor-to-ceiling windows let in the natural light and look right at Pikes Peak. 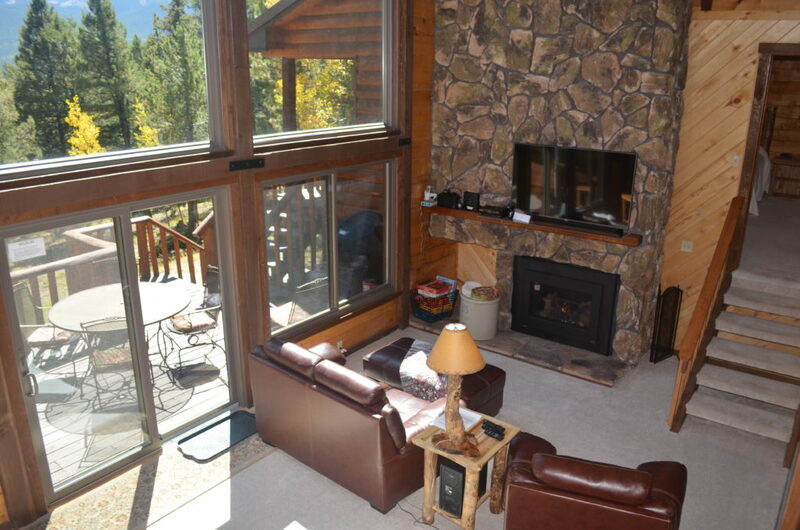 You can curl up by the fireplace to watch the night time settle over the mountains. 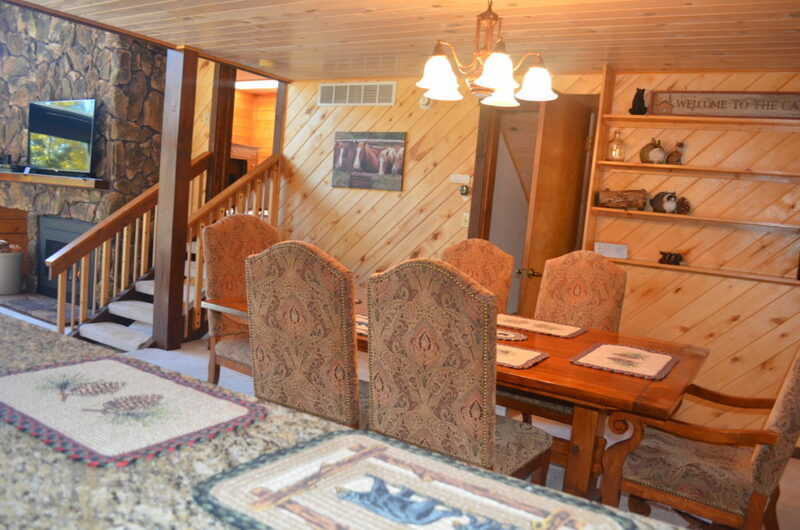 Or grab a glass of wine and head out to the deck and fire up the grill. 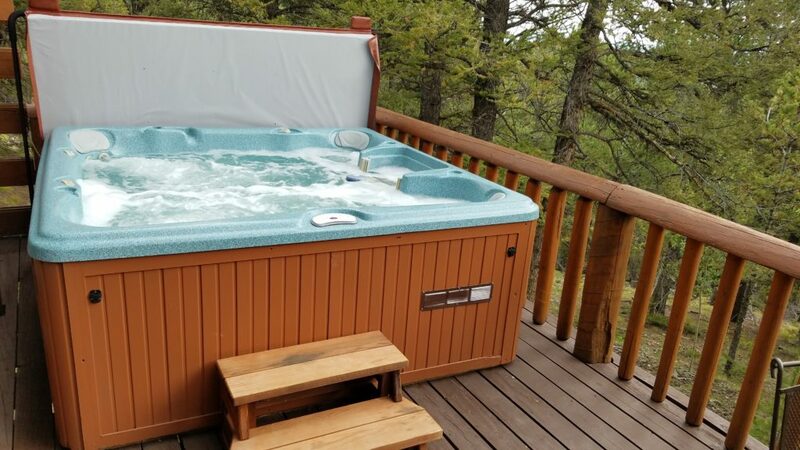 After dinner, take a dip in the hot tub. 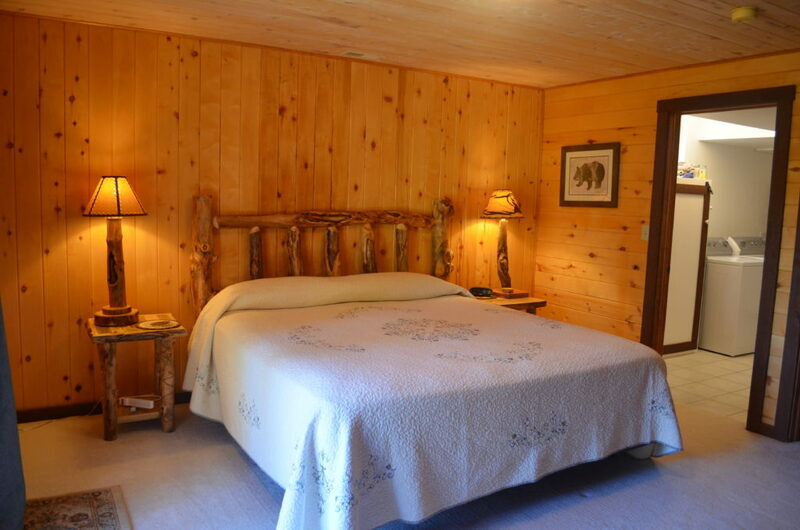 When you’re ready to turn in, the master bedroom features a king bed, its own covered deck facing the Peak, as well as an electric fireplace to keep you cozy. 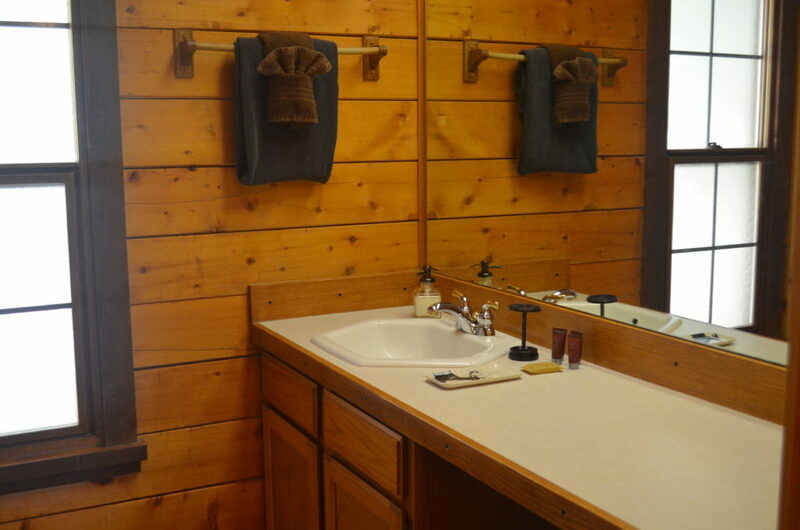 The large master bath has a shower, large jetted tub and large vanity. 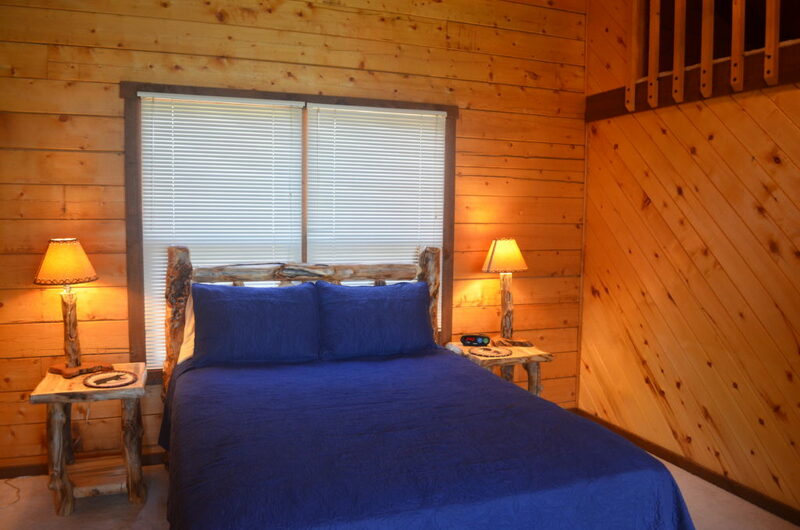 The lower level bedroom also has a king sized bedroom and a private three-quarter bath. 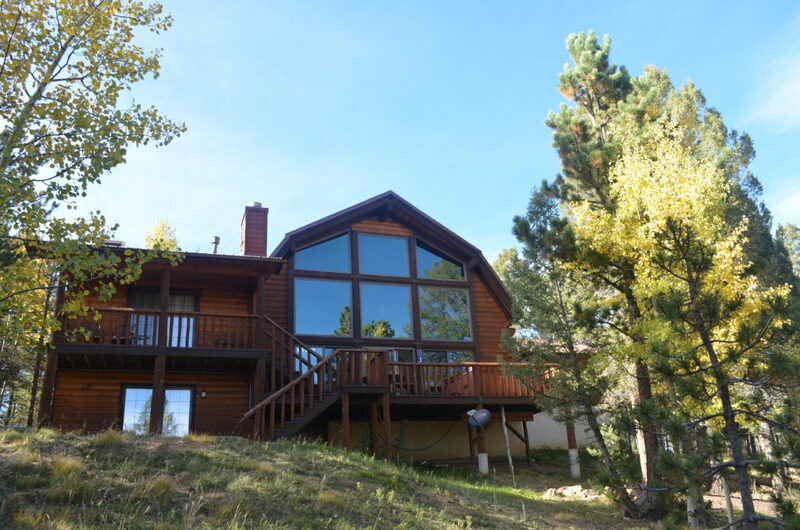 It has it’s own access to the back yard if you want to wake up with the sun, and have a few moments outside before you regroup with the rest of your family or friends. 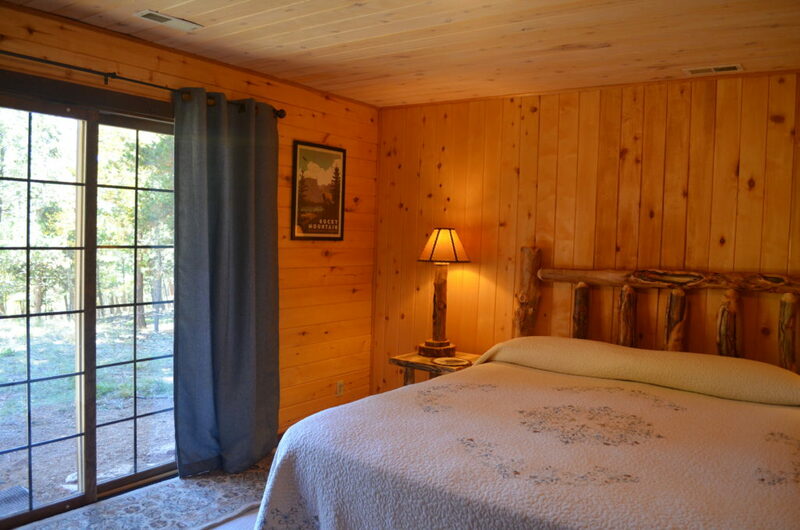 The loft bedroom has a queen bed which looks right out to Pikes Peak. 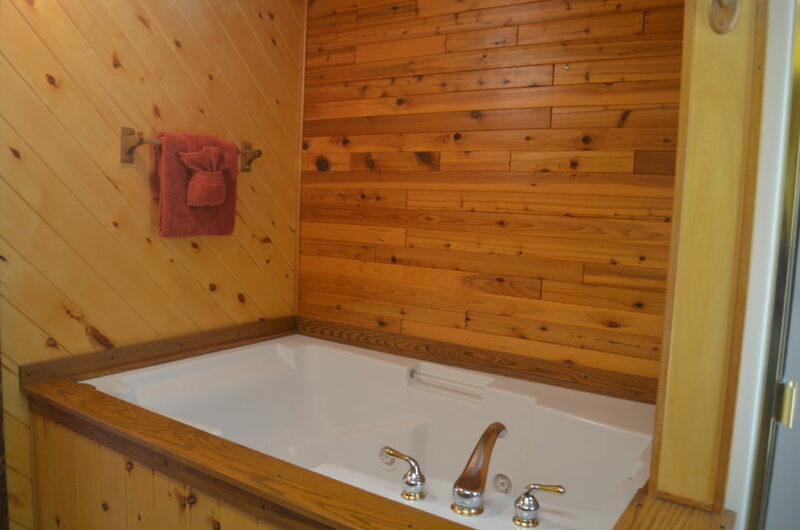 The loft bathroom is a full with a tub/shower combo. The loft also has a loft! The kids will have a blast making it their private fort. Tell them to bring their sleeping bags, and it’s all theirs! 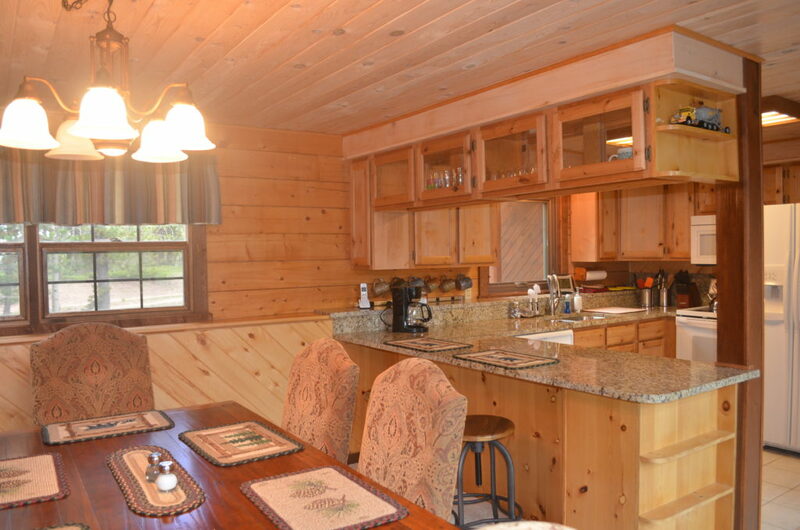 Book our Catamount Cabin now! 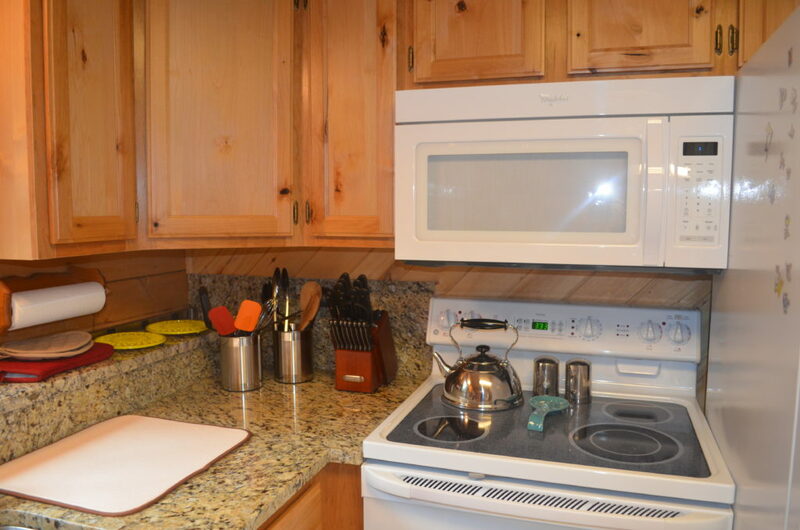 Give us a call, or book online anytime through VRBO. 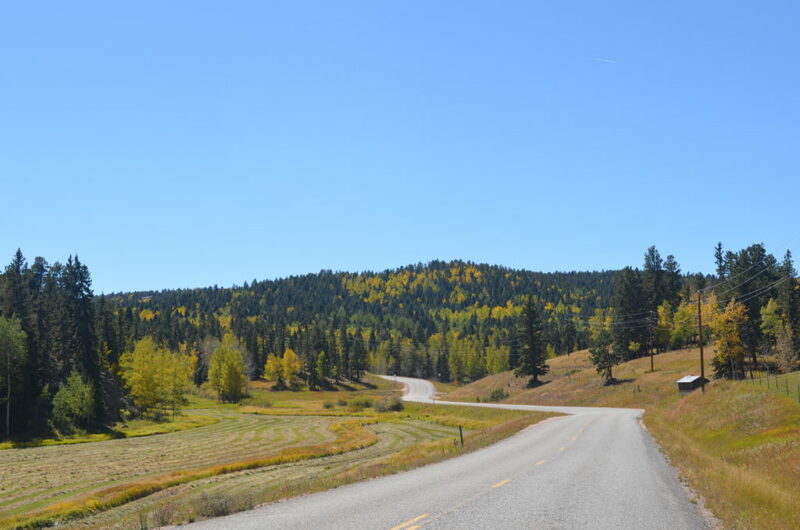 The drive to the cabin is gorgeous! 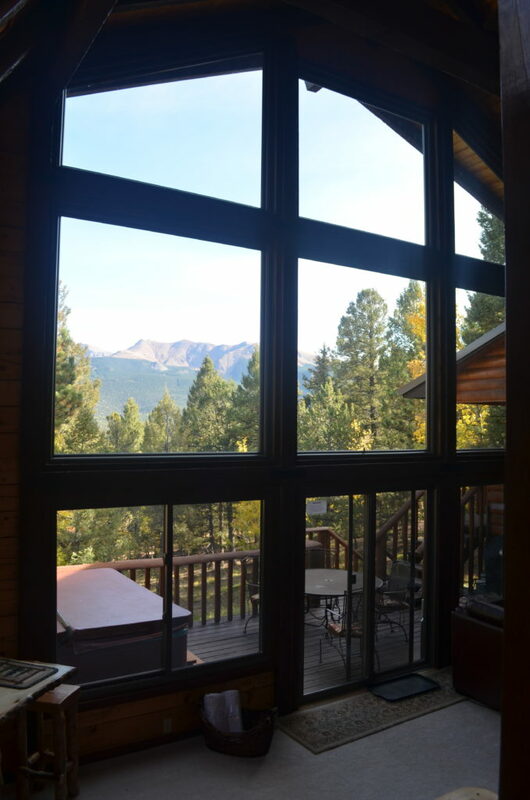 Look right out to Pikes Peak. 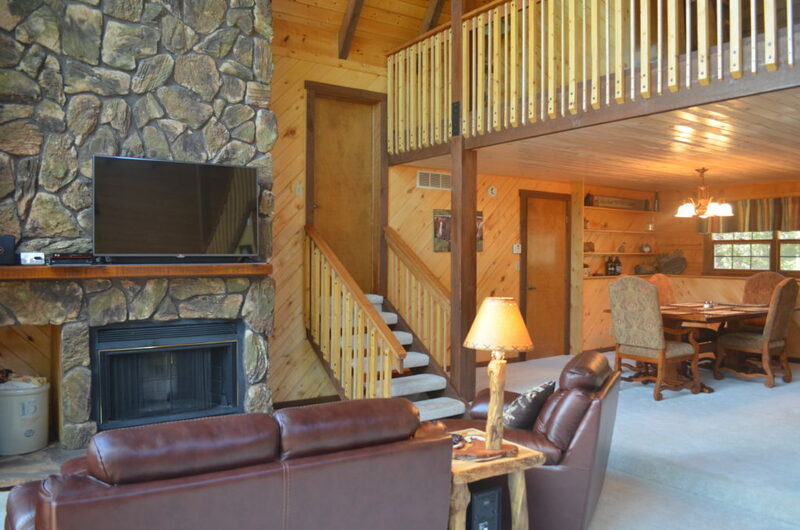 Living room, stairs leading to master bedroom. 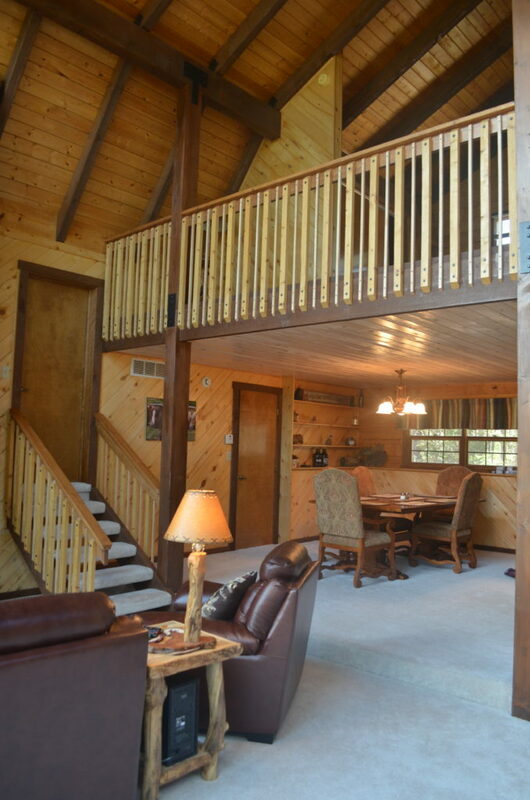 View of the loft from the main floor. 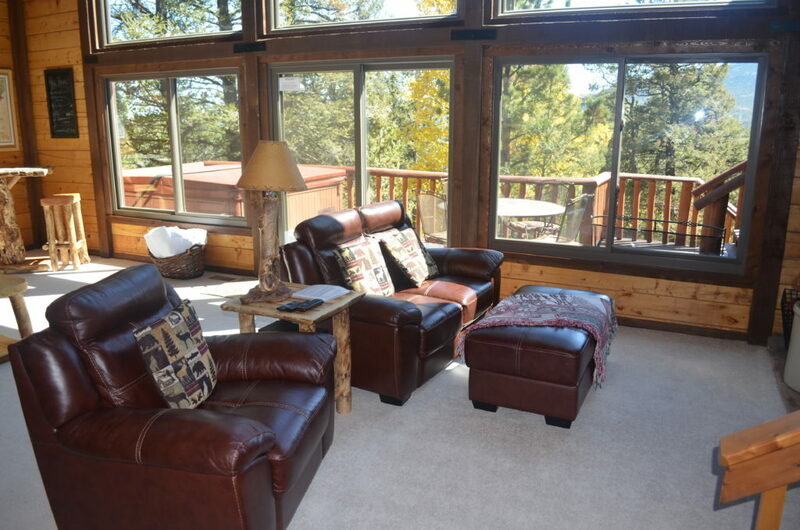 The living room has floor to ceiling windows. 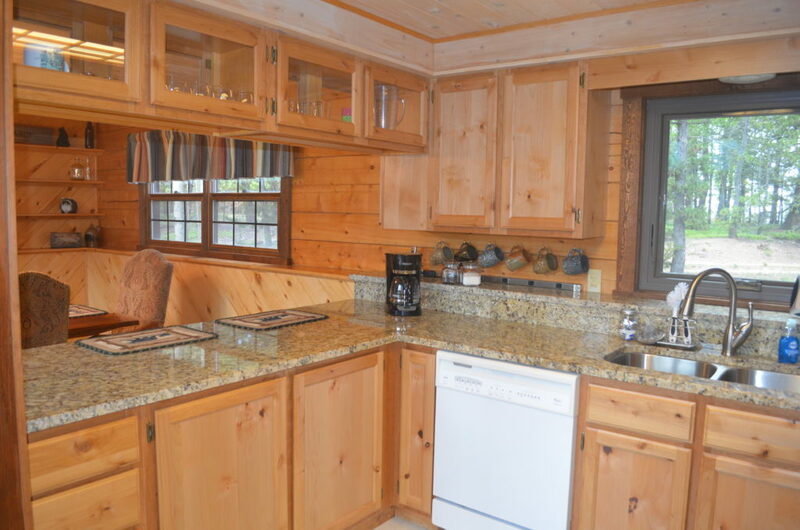 The kitchen is stocked with everything you need. From the kitchen looking toward dining table. 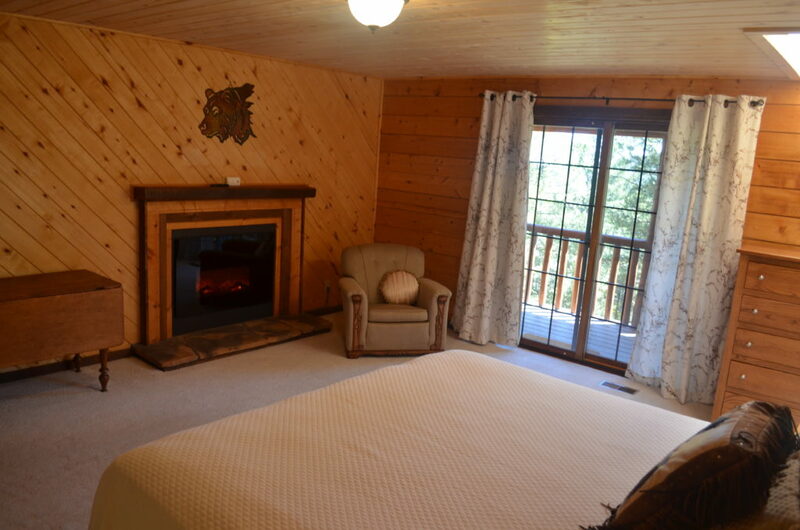 The master bedroom has an electric fireplace and private deck. 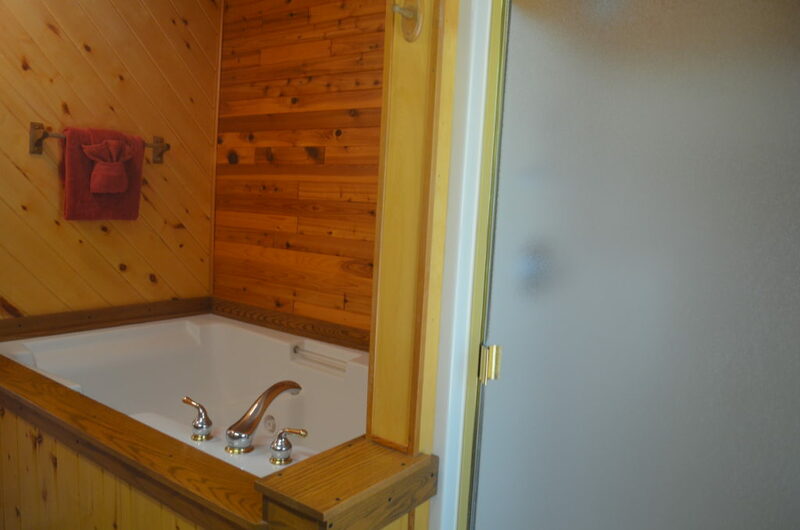 The master bath has a large, jetted tub. 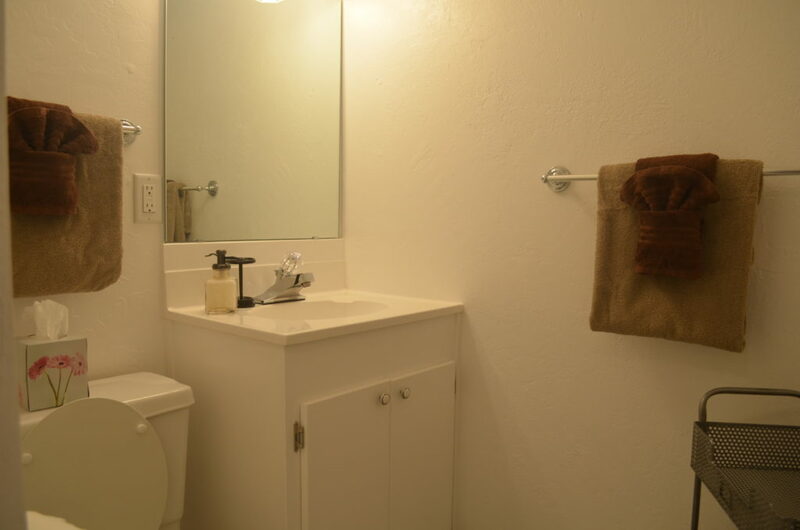 The master bath has a tub and separate shower. Loft bedroom with a queen bed. 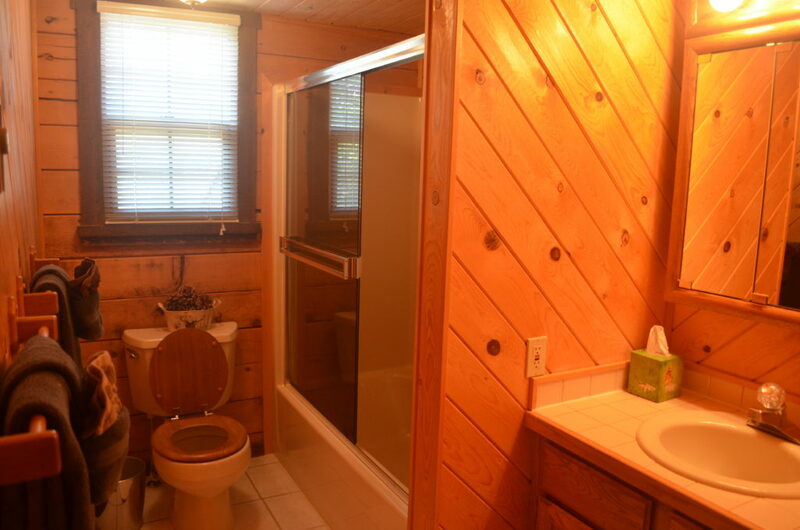 Loft bathroom with tub/shower combo. 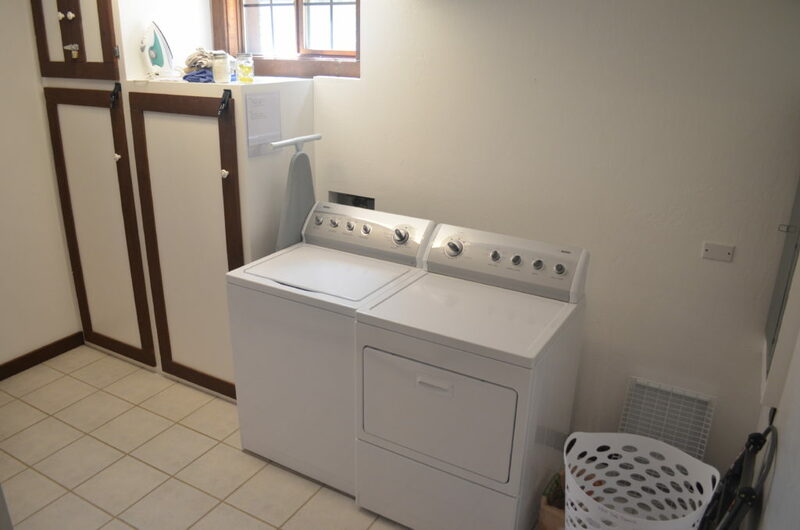 Full sized washer and dryer available. 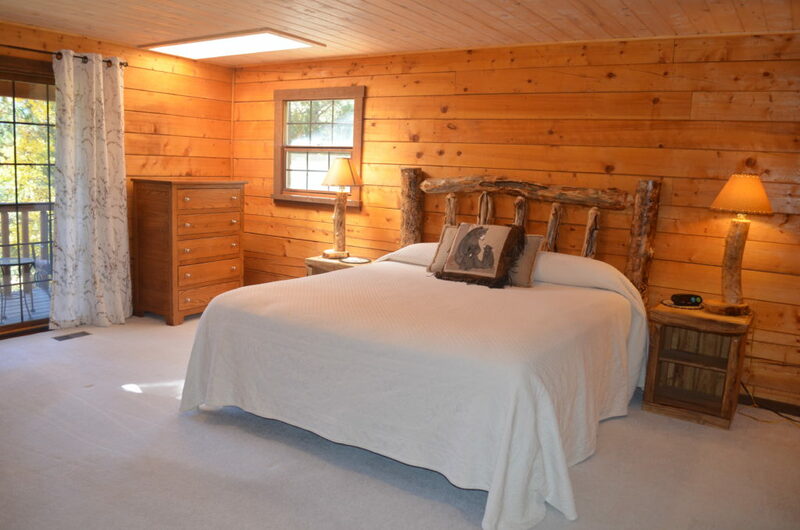 Downstairs bedroom has a king bed, en suite bath, and private outdoor access. 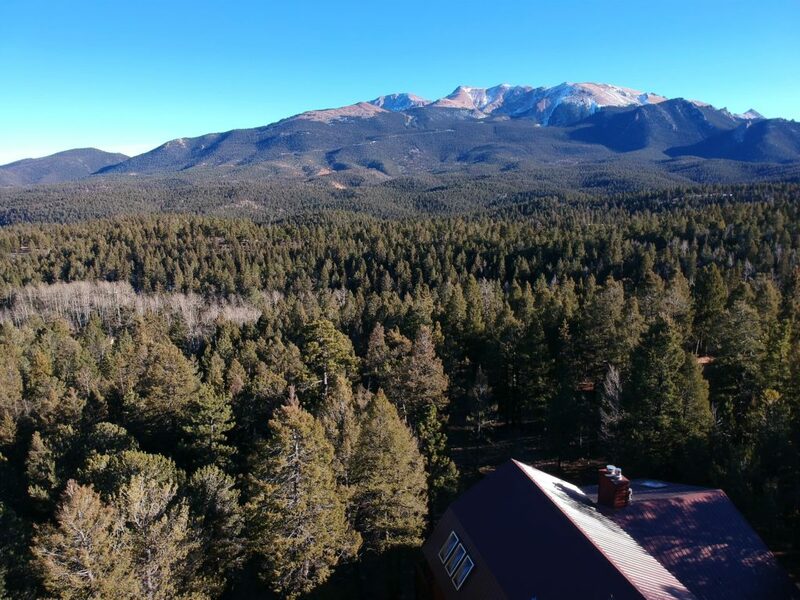 The cabin is nestled among the pines with Pikes Peak in the background. 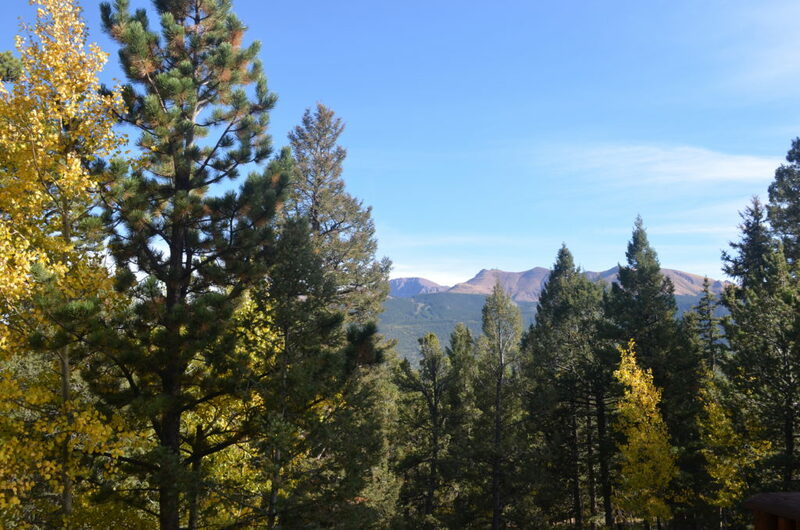 Pikes Peak rises up behind the cabin.